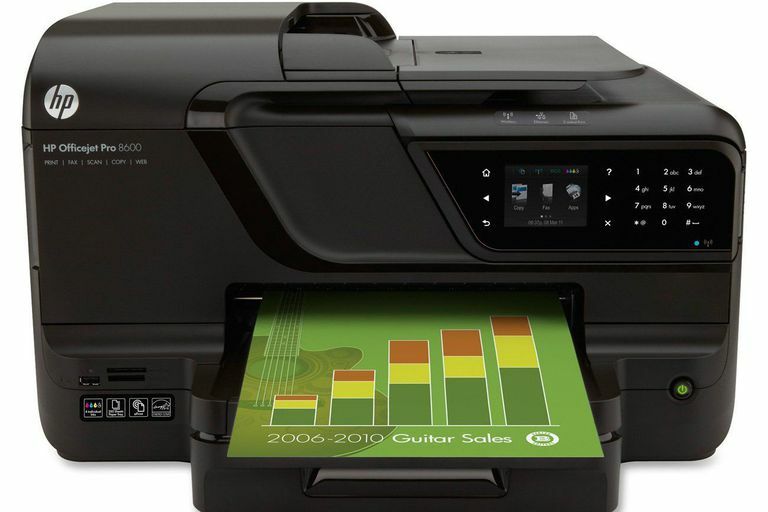 It's hard to believe that the OfficeJet Pro 8500 series was released seven or eight years ago. In its day it was a fine machine, but things have advanced so far that at some point a series just needs replacing. While HP makes a lot of fine printers, some of its best work is depicted in it the next series up from the 8500 series, the OfficeJet Po 8600 e-All-in-One series, which includes the OfficeJet Pro 8620 e-All-in-One Printer we reviewed a while back. Without question, though, the best printer in the series is the OfficeJet Pro 8630, which not only prints well, but it does so at a very good cost per page, well under 2 cents for monochrome and under 10 cents for color. While the 8500 was for its day a respectable machine, printer technology has changed in so many ways over the past seven or eight years that resemblance between machines of that era and now is... well, different on the outside. Even so, both models deliver good-looking prints, but the 8500 isn't available anymore. The big-brother version of the HP 6500, the Officejet Pro 8500 lets you print color documents for up to 50 percent less per page, HP claims--and, if you're using HP's high capacity cartridges, you'll save money on consumables compared to laser printers. The HP 8500 can print, scan, copy, and fax. According to HP's spec sheet, it can print up to 35 pages per minute monochrome and up to 34 pages per minute color. Black print resolution is up to 1,200 dots per inch (dpi) and color print resolution is up to 4,800 x 1,200 dpi. Optical scanner resolution is up to 4,800 dots per inch (dpi); software-enhanced resolution is up to 19,200 dpi. Documents up to 8.5 x 14 inches can be fed through the automatic document feeder; documents up to 8.5 x 11.7 inches will fit on the flatbed. Fax transmission speed is three seconds per page, and resolution is up to 300 x 300 dpi; the HP 8500 can store up to 125 pages in memory. The HP 8500 can copy as make as many as 34 copies per minute color, and 35 pages per minute black. Images can be scaled from 25 to 400 percent. There is a 250-sheet paper input tray and a 35-sheet automatic document feeder. Networking is standard with the HP 8500, with a built-in Ethernet connection. WiFi 802.11b/g networking is optional. The printer is Energy Star qualified. HP offers free recycling of its print cartridges through Planet Partners.